As a fanbase, we’ve always been ones who like a joke. Usually, it comes at our own expense. We have good banter with opposition fans most games and generally, our games are played with a good atmosphere. However, on Saturday this atmosphere took a momentarily nasty turn. After Brighton took the lead against us when Town ran out of ideas and energy whilst a man down, frustration levels were high. The nasty tackles flying in on the pitch began to filter into the stands. After Brighton fans sung “you’re going down with the Palace”, a small but loud minority of Town fans decided to retaliate with “you’re going down on your boyfriend”, a tired and homophobic trope Brighton fans have heard a million times. As a fan-base who pride ourselves on creating witty and sometimes genuinely funny chants, this was crass and brainless. As a liberal and cosmopolitan city, Brighton famously has a strong and proud gay community in the city. Gay Pride takes place there every year and ignorant football fans have infamously brought this up every time they play them. It’s 2018. This would have been out of place and wrong 10 years ago, let alone now. This wasn’t an isolated incident. We heard pockets of other horrible comments chanted by groups of 3-4 people at different points of the game. However, this was the one chant that generated the most noise. When Town fans including ourselves have called this out on social media, we have had some responses from people accusing us of being “snowflakes” or saying we are being over-sensitive to this. This kind of stuff is not banter, it is abuse. To all the people who joined in or defended the chant, ask yourself this: would you repeat that chant to someone you knew who was gay, a family member or friend for example? If you can’t answer that, then you know the answer is no. Huddersfield Town prides itself on inclusivity. The work done in the community, especially the initiatives undertaken to encourage anyone to attend the games and feel comfortable makes it one of the most forward-thinking clubs in the country. The vocal minority on Saturday showed just how far the gap is between the views of some “fans” and the vision of the club. There seems to be a small pocket of older Town fans who believe this kind of behaviour is appropriate or even ‘a bit of fun’. This false equivalence is wrong and dangerous. We at Talk of the Town condemn this and any other behaviour of this manner. If you’re a grown man and are still singing songs like this in 2018, take a look at yourself and think about the kind of example you want to set for the younger Town fans and your children. 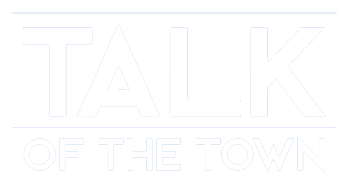 Subscribe to TOTT via email! Enter your email address to subscribe to TOTT and receive notifications of new posts by email.